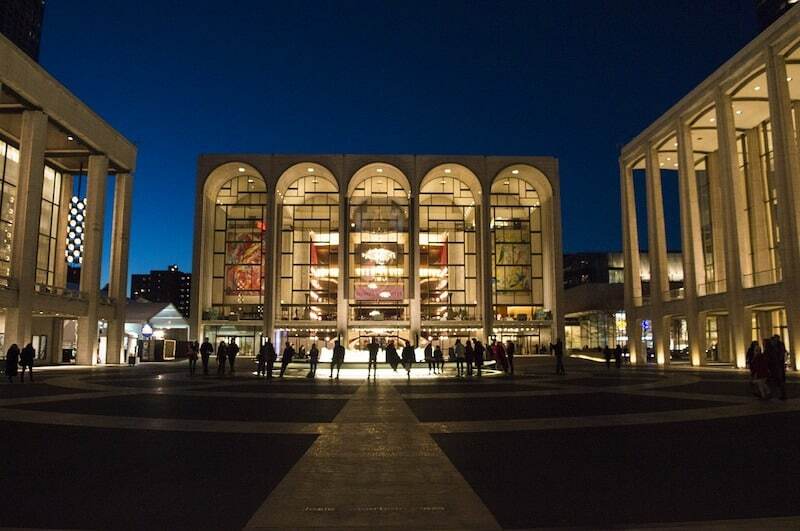 Even the lobby of the Metropolitan Opera House at Lincoln Center in New York City is built to impress. Sky-high ceilings, opulent red and gold décor, and glittering crystal chandeliers signal that you’ve arrived at a special sanctum. Defined loosely, traveling entails taking a trip to another place for pleasure. When we’re home, we often take the opportunity to “travel,” exploring all there is to see and experience nearby, in our own Westchester County or nearby New York City. Admittedly, we often miss gems right under our noses that are on the bucket lists of people from around the world. When Viking Cruises invited us to attend a performance of Aida at the Met, I have to admit that I was ambivalent: I felt a mix of excitement about the prospect of attending a live opera for the first time—tempered by a tinge of intimidation, somewhat akin to the feeling of traveling to a foreign and exotic land. What did an inveterate traveler like me have to worry about? Well, I was concerned about not understanding the Italian-language opera. Although I’m quite skilled in speaking restaurant Italian, asking for the restroom and soliciting directions, it’s downhill from there. Also, I worried that opera might pose a cultural barrier. Would I be able to relate to a story as old as time presented in a way that was so different than the entertainment I usually enjoy? Turns out that my first opera was an incredible experience, aided and abetted by the English translation on the small screen on the seat back in front of me. To read the libretto in English (or a host of other languages), all I had to do was press the little red button. And it turned out that I probably didn’t even need to know the precise words. This was a very special performance of Aida because Placido Domingo was conducting. Even more noteworthy, perhaps, this was the last time this particular version of Aida, which had run at the Met for 31 years, would be performed. Set in ancient Egypt during the time of the pharaohs, Aida has four acts (with two intermissions) that depict a dramatic love triangle. The production includes opera performers, dancers, choruses, a symphonic orchestra and live animals. As it turned out, the story was easy to understand as was the passion conveyed by the voices of the singers. The visually stunning set (which changed several times during the performance) and spectacular costuming were icings on the cake. A review in the New York Times (which I had dutifully read in preparation for my first time at the Met) noted that one of the reasons this epic version of Aida was being tabled was because of its two-intermission format, which made it too long for some operagoers. It didn’t feel that way to me. Walking through the opera house, you notice all the plaques acknowledging corporate and private donors. The program noted that this particular production of Aida was made possible through a gift from Mrs. Donald D. Harrington and Viking Cruise. Viking’s partnership with the Met builds upon its commitment to support cultural programming. When I did some research on Mrs. Harrington, her 1998 obituary in the New York Times noted that her $30 million contribution to the Metropolitan Opera made her the institution’s largest individual donor. In fact, the auditorium was dedicated in her name. My first time at the Met was another reminder of the importance of expanding one’s world and taking small risks wherever you travel. Be sure to activate the screen with titles in your own language. It’s on the seatback in front of you. Dress during a weeknight performance ranged from business casual to very elegant. No matter how good your seat, consider bringing “opera glasses.” That’s what they’re for. Exercise caution: Opera may be addictive. Lucky you! I definitely want to visit the Metropolitan Opera when I go to New York, instead of just listening to the performances on the radio. Thanks for all the tips and glad you enjoyed your first opera event. I was pleasantly surprised when I attended my first opera too, I really loved it and found it easy to follow the story. How very lucky were you Irene to be invited by Viking Cruises to attend a performance of Aida at the Met. This sounds an incredible experience. I have never been to the Opera, nor the Met. I appreciated your light hearted comments about Opera Phobia & Opera phobia resonating. Yet, I heard you truely enjoyed the experience & your encouragement to others like me to visit the Opera. I for one will be visiting the Opera. Yes, I was so appreciative of this great opportunity! How wonderful to have experienced something so grand. I never saw Aida and wish l had. One of the things l miss most about living in Boston years ago was dressing up for shows and other productions. The sets look amazing and the setting is just mind blowing. To see Placid Domingo would be a treat. You would have loved this! The costumes were amazing! Great article. It is so cool that you had the opportunity to go behind the scenes between acts at the Metropolitan Opera. Such an amazing adventure. Yes, it was a thrill to see everything going on behind the scenes. Ever since watching the movie ‘Moonstruck’ we’ve been enthralled with the idea of going to the Met. After reading this and enjoying your photos, it’s no longer just a thought. And didn’t know there is a restaurant. Wow, what a night. Thank you. Yes, the total experience is mind-blowing. It leaves you transported to another place. This is my dream! As much time as I’ve spent in NYC and I’ve even taken a tour of the Met, I’ve never seen an opera there. And I don’t even care if I can follow the story in Italian — I wouldn’t actually want to watch the screen with English titles. What a great experience, Irene. Glad to get your perspectives and tips. Definitely a bucket list experience! Such great advice and a good reminder to savor the treasures we have close to home; especially those that might intimidate us at first. Loved this post, Irene.